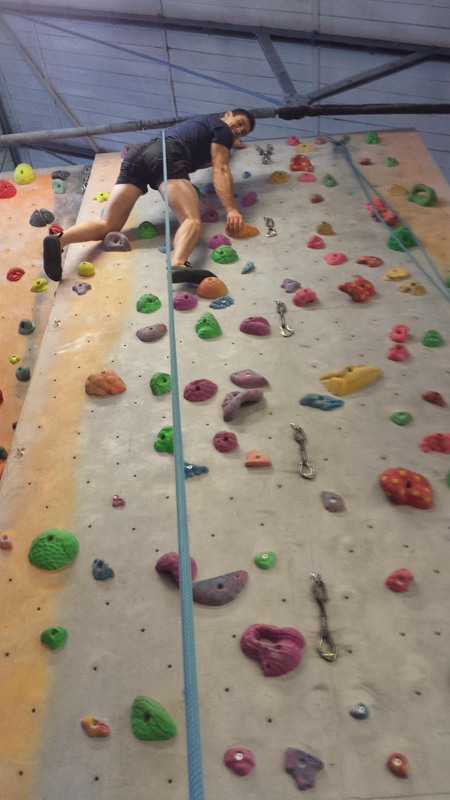 Rock climbing is a great all round exercise. You’ll really feel it in your shoulders and arms, legs and core. It’s also great fun. One of our favourites things to do is get a group together and go climbing on the weekends. 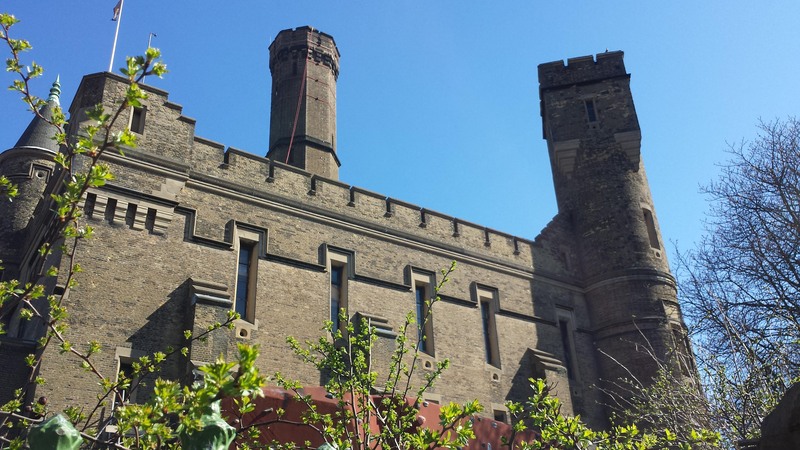 There are many indoor rock climbing centres in London but one in particular; The Castle, In Manor House, London was recommended to me by a client of mine. It is actually an old castle which has been converted and now used for indoor rock climbing and bouldering. It makes a fun day out if you know how to rock climb, and if you don’t you can do a course or do bouldering which requires no experience. 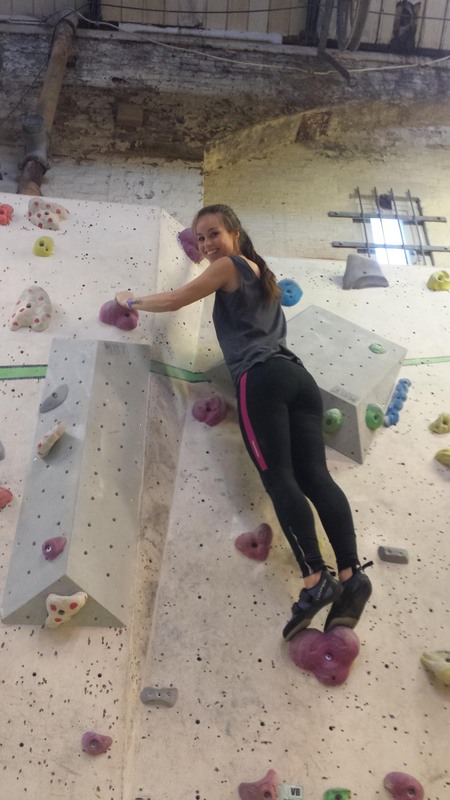 We spend most of our time top rope climbing (where you climb with a partner who belay’s you from the ground using a rope which is already anchored at the top of the wall), but you can also lead climb and practice bouldering on the multitude of walls. Here’s a pic I took of Chris while belaying him, which I promptly got told off for (don’t try this at home). We both enjoy rock climbing so much that we are currently shopping around for our own gear to use so that we don’t have to hire it all every time. Chris recently bought me a harness for my birthday, but I am yet to get shoes etc. 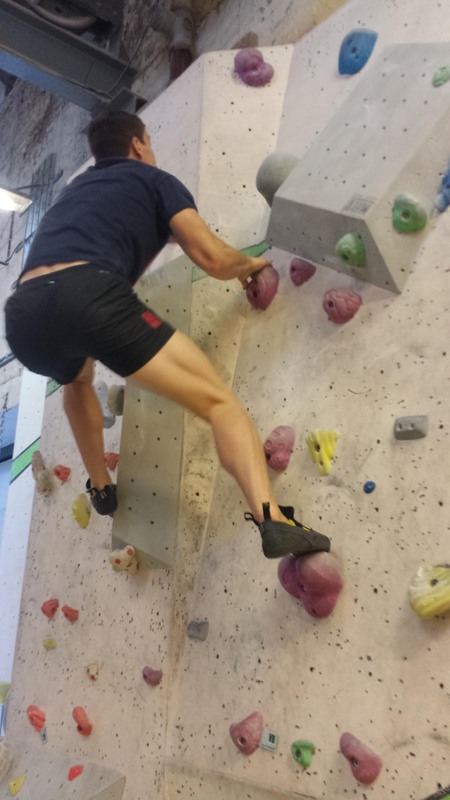 Rock climbing is also excellent training for all of my upcoming Obstacle Course Races that I’m signed up to do! As the weather here in the UK gets warmer (I’m still waiting! ), we will also begin hunting for the best outdoor rock faces to tackle. Last year Chris’ mate took him out to a great set of outdoor faces in Royal Tunbridge Wells, so I’m sure you will be seeing posts about places like this before long. All in all, we would highly recommend The Castle to rock climbers of all abilities. The prices are good, the facilities are excellent, and the staff were friendly and helpful. Check out their website if you want to learn more about The Castle. thanks for this, I am going to check it out !